Is Europe really being 'invaded' by refugees? Is Europe really being 'invaded' by refugees? Is Europe really being ‘invaded’ by refugees? Monday, June 27th. Beirut, 5.00 AM and the electricity is gone. It is a sweltering 35 degrees even at dawn. Right when I’m thinking to just get up, the phone starts ringing. It is Juliana, our Security Advisor, and if she calls out of office hours, it is usually not good news. She’s informing that shelling just started next to the Syrian border. We have to get ready for a potential new influx of five to ten thousand refugees. It’s going to be a long day. I was working as a Camp Management Coordinator for the Danish Refugee Council, a Danish NGO. 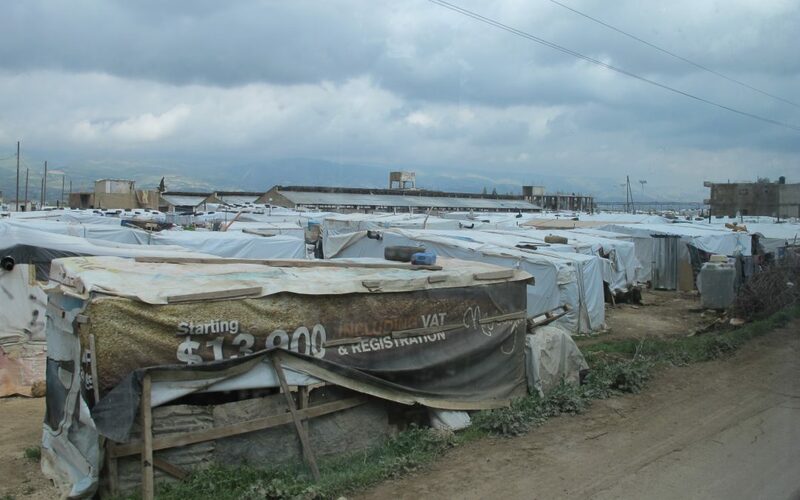 I spent more than two years there and by the time I left, in July 2016, the country was hosting as many as 1.2 million Syrian refugees, about 25% of Lebanon’s population. You read that right: one in four residents in Lebanon are refugees, who have fled the war in Syria that started in 2011. The conflict has now displaced as many as 12 million people. That is equivalent to the entire population of Greater London and Essex being forced to leave their homes and seek refuge in neighbouring counties. One of them was Hajib, a 56 year old Syrian from Homs serving as a “concierge” in the building I was living in. He had been one of the first ones to seek refuge in Lebanon, back in 2012. My former employer, a French NGO called Handicap International, had assisted him with a leg prosthesis. He had lost his right leg because of shelling near the border before he was able to cross. Like him, another 65 million individuals had to leave their houses across the world last year because of conflict or natural disasters. That is the equivalent to the entire United Kingdom. It is the highest peak of displacement in history and a worse scenario even if compared to World War II. 70 years later, migration and forced displacement are on top of the European political agenda. Unsurprisingly, since in 2014 and 2015 Europe experienced record numbers of asylum seekers and migrants arriving in its territories, mostly via irregular routes. Is it true then? Are we being invaded? Just like Hajib’s wife and three sons, the vast majority (78%) of the displaced population tends to find refuge within their own country (and are referred as Internally Displaced Persons, IDPs) or in neighbouring countries. Only a very small proportion of overall displaced population (3%) travel to European shores. In the year of the “migration crisis”, 2015, record numbers of Syrians, Afghanis and Iraqis travelled to Greece and Italy. The total arrivals were slightly more than a million. While it does sound like a huge number, if all the EU countries had offered temporary protection to everyone proportionately to their own population, the whole “European migration crisis” would have been solved with one migrant/refugee/put-your-label-here hosted for every 50 thousand citizens. In other words, the whole of Greater Manchester would have contributed to solve the “migration crisis” by hosting 50 persons. Five Zero. Also, there is no evidence of dramatic changes in overall international migration trends. The total number of people living outside their country of birth (migrant stock) has remained relatively stable as a percentage of the world’s population since 1960, ranging from 3.1% to 3.3% in 2015. Only 0.75% of the world population emigrated in 2014 (migrant flow) just like in 1995. It is unlikely that emigration from Africa will play a key role in shaping global migration patterns in the future, as individuals from African countries mainly migrate within their home continent. No invasion nor migration crisis then. Rather a displacement crisis that has affected mostly non-European countries, whose resources were already strained. Turkey, Lebanon and Pakistan are currently hosting by far the largest number (33% of the global caseload) of refugees. In response to the record arrivals in 2014 and 2015, significant funding has been mobilised by EU authorities and countries. However, this funding has been explicitly deployed to deter refugees and migrants at Europe’s borders. Border militarisation and development aid packages for many lower-income countries, as an attempt to address the “root causes” of migration. This is the current European migration policy. Is that an effective response? That’s the question I want to answer during my PhD at the Global Development Institute at the University of Manchester. Here, I’m focusing on the relationship between development aid and migration flows. To the contrary, the answer to the initial question does not need a PhD. Is Europe to fight an invasion? No. Anyone arguing otherwise is probably a fan of Will Smith.